Equiinet offers business phone service and network security solutions that allow organizations to operate more efficiently. We manage your calls, secure your data, facilitate disaster recovery, alert you of network issues, and provide valuable analytics. Equiinet business phone service and network features are customizable to your business. With auto attendant, your calls are automatically answered 24/7, allowing you to focus on your business. Callers are welcomed with a custom greeting and transferred to the extension or department. Configure your cell phone and desk phone to ring simultaneously when a call comes in. Receive voicemails as a WAV file in your email inbox. Conference in additional callers to a current conversation on any device. Setup an address so responders know where to go in the event of an emergency. Upload your own music or customize a recording for callers to listen to while on hold. Equiinet service allows up to 300 participants in one phone call. Port your existing toll-free numbers or instantly activate a new 800 phone number. Provides individual phone numbers for each person or workstation internally. Allows for attended transfer (alert party before transfer) & blind transfer (transfer the call directly). Set up calls to be forwarded or configured to ring up to 4 alternative numbers. Unlimited calling throughout the US and Canada. High quality international communication to 60+ countries. 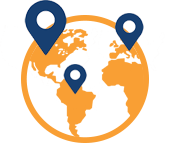 Check out our international offices. 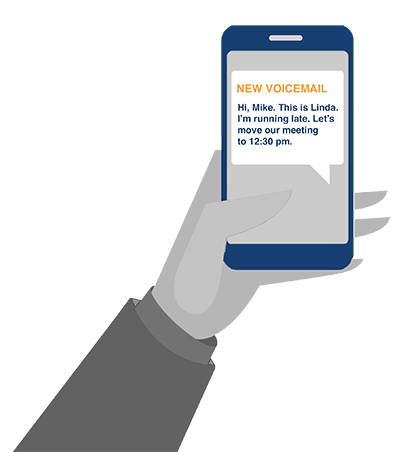 Receive a readable text transcription of your voicemail to your email and/or smart phone device as an SMS. Sound professional with a virtual phone number and answering service. Backup your internet with 3G/4G/LTE or another cable automatically, making sure everything always stays online. Block viruses, spyware, and other malware, securing your network. Protect your internal network from malicious access and set up trusted IPs, port forwards, DMZ, and more. Prioritized data traffic ensures the highest call quality, no jitter, echo, or distortion. Organize and encrypt documents centrally on-site, giving only authorized users access. Cache web traffic to increase your bandwidth and network speed. Set up a guest and private Wi-Fi network with wide-range wireless internet access. Send and receive faxes through your email and/or the web on a smart phone. Automatically back up files, keeping your information safe and accessible. Keep your information safe with automatic backup of all computers and their data.